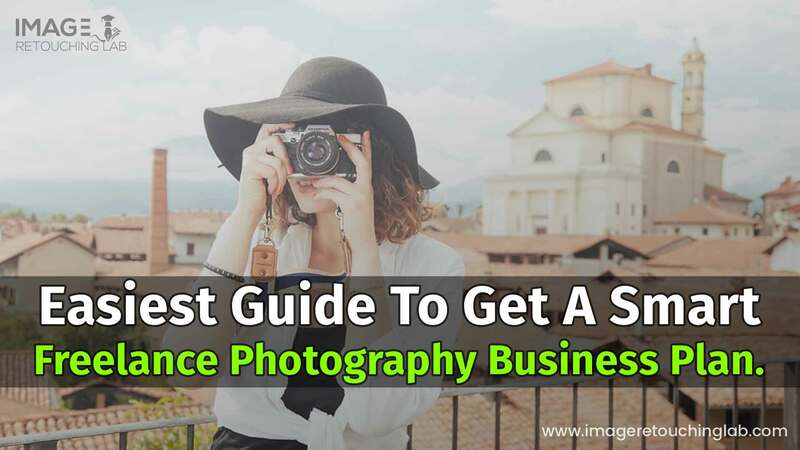 Are you planning to set up a photography company for yourself? We are going to show you a proper freelance photography business plan with its goals and objectives. Unfortunately, very few freelance photographers share their opinions and suggestions about these strategies. No doubt, a proper business plan can be a road map to success. There are many ways to start. Before touching the main point, we should know some crucial facts in this sector. Let’s go through the parts. 1 What Is Freelance Photography? 1.2 Who Needs Photography Business Models? We all know about the term ‘freelancing’ which is the most enhancing and popular category in the present field of career. Now, it’s better to know what freelance photography is? It’s just like the other professions. It indicates the photography that is done on a contract basis for a specific event. Many professionals are choosing this approach because of different reasons. They love to do it this way. Every business should have some specific goals and objectives to get success. Let’s see these in terms of some criteria which are very important before starting your freelance photography business. Whether you plan to start a business, you need to be specific to achieve your goal. When you make a specific plan to develop a system, it becomes easier to execute. As you are a smart photographer, you have to make a realistic plan. Study the market trends and create your project. An unrealistic plan can be the main reason to be a failure in your business. Every goal should maintain a timeframe. Specify each part of the activities you want to apply. It’s equally essential like the previous parts. What should be the first objective of a business? Whether it’s about photography or any other industry, customer loyalty works as a crucial factor. If you can gain this with your service, you can expect a grand success within the period. As a photographer, you should create a brand identity in the outer world. Thus, people from different regions can search and get you with faith. Obviously, business means an expectation of money. It’s a key objective for any professional. Whether you are capable of reaching and handling more clients, you are capable of earning more. Who Needs Photography Business Models? As there are several categories of photography, we need to know the fields in details to implement the proper business models. Who actually needs this? Let’s discover it with profitable types of photography by which photographers are making money. There are no limits in arranging or planning events in our daily life. It may be Christmas party, corporate functions, weddings, charity functions, or any other events. If you can make a brand of yourself as an event photographer, it can be a handsome way to build your career. You can charge a certain amount of money for an event. People love to be in the frame of an event. So many of them will share your captured photos to social media. If it looks cool, then it can be a great way of branding as well (for free). Fashion photography is one of the most demanding and attractive profession you can image. Do you have any idea how much a professional fashion photographer earn as a freelancer? It costs around $75-$250 US dollars per hour! It can be a great way to make a smart career who has a solid portfolio in fashion photography. It deals with the most beautiful creation in the earth. Many photographers love to capture a butterfly or an elephant. The important part of this type is its high demand on the internet and research job. You can submit your creativity to nature publications that can be a fruitful resource for your career. Wildlife photography makes money through calendars, printed images, and hanging beauty in an office or home. Real estate photography is one of the profitable careers in the relevant industry. As you know real estate is an enhanced business sector; it always keeps a prominent budget for its photography session. Real estate properties including homes, business spaces, and other materials need photo shoots to sell them online. So, agents use professional photographers to present things attractively. It can cost them $110 to $300 US dollars for photos on average. Now comes to the most talking and popular category in the photography area. Who doesn’t need product photography to increase online business? It is such a field that every ecommerce business must call a professional photographer for this. Be connected with the local and international (if possible) businesses. Show your latest portfolio on various product photos that can influence to hire you. Some statistics show the average income of this profession is around $33000/ year. Sports photography is an interesting and dynamic way to earn money as a freelancer. Sports team, players, gallery, and the equipment are the resources in this category. It covers various sports events like football, cricket, golf, basketball, and Olympic. It has a huge opportunity to grow up in this field as a freelance sports photographer. What if you get the chance to travel the world and earn money by clicking your camera at that time? It is amazing for a travel photographer as a way of making money. Many agents search for beautiful photos that are captured from different corners of the world. They are ready to pay you for that. Isn’t it cool? Who doesn’t love food? Everyone! How does it look when you see some delicious food items pictures in a menu? This is a work of food photographer who helps to increase sales in a food chain shop or a restaurant. Every food business owners expect to publish their menu to social media and sites as a part of marketing. So, they need a professional food photographer for this. You can earn about $30k US dollars per year on average from this field. This is another attractive way to earn as a freelance photographer. You put your captured pictures to a relevant site or for a company and make a lucrative amount of penny for every download. It can be regarded as a stock image photographer, and it’s pretty good for a part-time earning. Portrait photography deals with a single person or group and emotions. Many photographers are doing very well in this category. It needs some specific pose and art to capture professional photos. As an expert, you can earn around $20000 to $50000 US dollars. You need a proper plan to establish yourself as a freelance photographer. After in-depth research, we are going to deliver you a list of essential photography business plan to make it successful. Let’s hear in details. Find The Most Relevant Niche: Why is it called like this- ‘most relevant niche’? Well! You have a plan and choice, right? So, why to run here and there to capture all the photos? Firstly, choose the most suitable niche that is relevant to your weakness. As I said earlier, there are several types of photography to make your career. Pick yours and then start the further plan. Target Market: Again the term related to ‘research’. Don’t you think it’s important before starting your dream project? To whom, you are going to serve your service? Let know yourself first in terms with research and arrange your equipment. Be very specific about the target market, market size, and trends. Competition Analysis: It’s another criterion to set up a business as a freelance photographer. It’s a tough competitive market now. So, whether you are going to make an identity of yourself here, learn to analyze the competition. It’s directly related to some critical decisions like investment and strategies. Investments: Investment is a key factor to start and run a business. The question is- How much it needs to invest? Well! We already specified on competition analysis. If you cover it in details, then it becomes easy to determine the amount. If your competition is higher, it needs a higher investment to cross your competitor. Business Structure: Every business should have a clear structure to run it smoothly. It must include some vital roles with responsibilities that help to increase your business strengths. The structure consists of a Human Resource Manager, Marketing Executive, Customer Service Executive, and more. Strong Portfolio: Portfolio is a common and must thing in every business and job as well. How can I select you as my photographer? Everyone expects a great portfolio to be impressed, right? So, be ready with that and do a photo marketing plan to focus. Pricing Strategy: You have to specify and develop an attractive and logical pricing strategy for your clients. Why? No one like to take a complex and high pricing plan. Initially, you have to be reasonable to serve common customers. And surely. Payment options should be user-friendly as a part of your photography business plan. There are several reasons to build a freelance photography business plan. But, what should be the strategy to gain the most outcome? Hopefully, you got the points to run your business successfully. Make sure you are strong enough to grasp your goals and objectives. As we provide various photography categories to choose for you, it will help to take the right decision for your photography business. If you have something to share, feel free to let our audiences know. Image Retouching Lab always appreciates it. I just couldn’t depart your site prior to suggesting that I extremely loved the standard information a person supply in your visitors? will immediately grab your rss feed as I can not to find your email subscription link or newsletter service. Thanks. I’ve been surfing online more than three hours these days, but I by no means found any attention-grabbing article like yours.